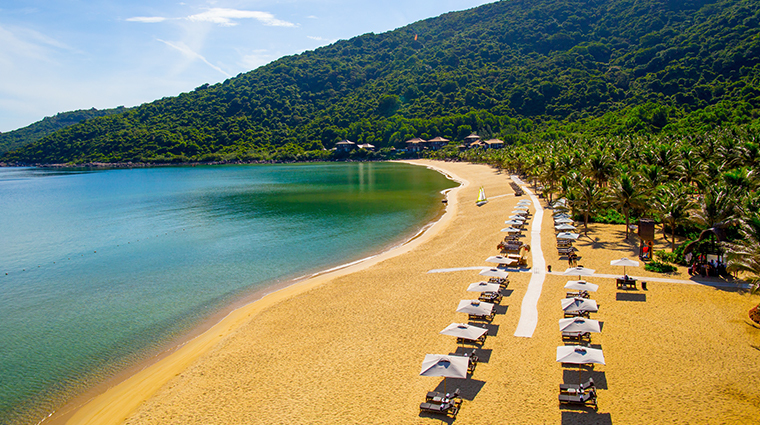 Tucked into a canopy of lush tropical palms, InterContinental Danang Sun Peninsula Resort is a sprawling oasis in the heart of Son Tra Peninsula Nature Reserve in Danang City. 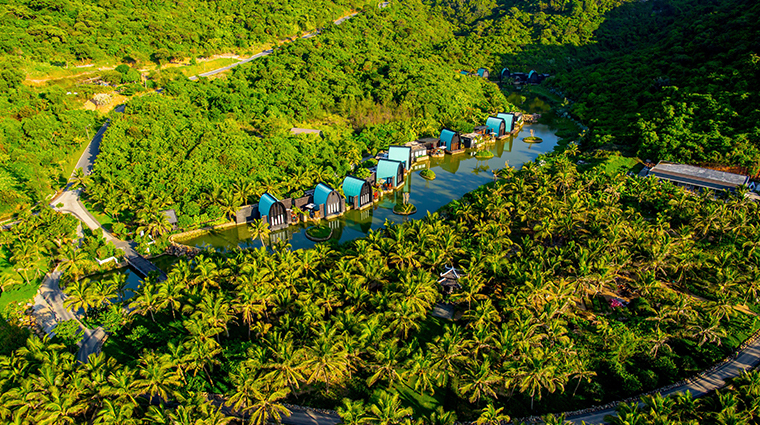 Roughly 30 minutes from Danang International Airport and 45 minutes from the historic city of Hoi An, this picturesque beachfront property is the center of it all but feels a world away. Meet your friendly new neighbors — rare red-shanked douc langur monkeys inhabit the surrounding forests — before heading to dinner at the Pierre Gagnaire-helmed La Maison 1888. Indulge in a world-class pedicure from Pedi:Mani:Cure Studio by Bastien Gonzalez in between sunset walks on the resort’s private beach. 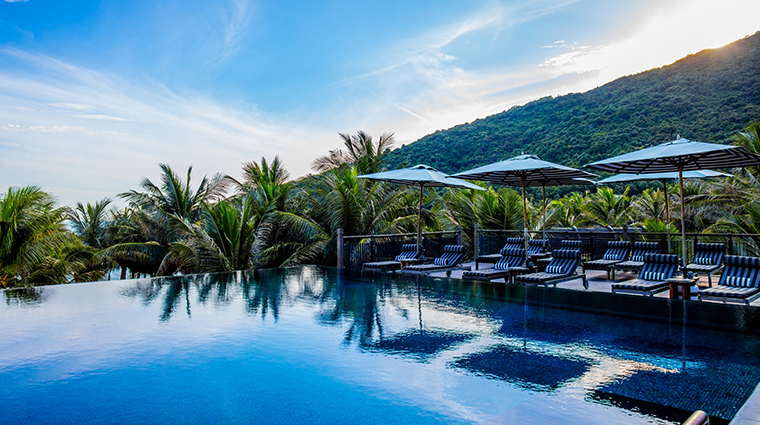 Whether you’re looking for adventure, relaxation or a little bit of both, this Danang resort delivers with Instagram-worthy flair. 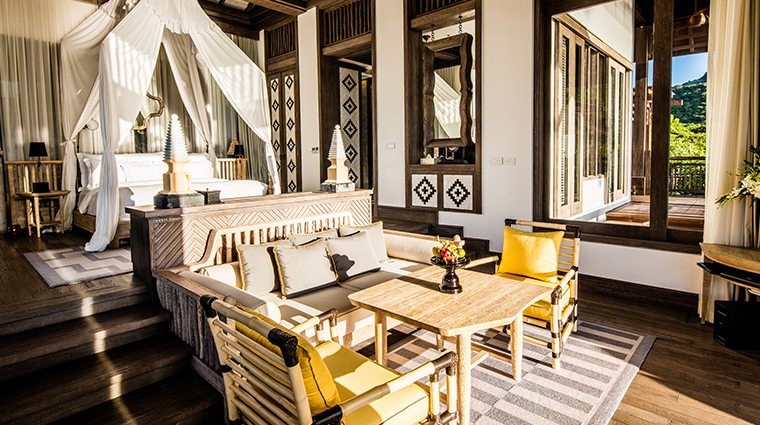 Renowned architect Bill Bensley spent two years living at the resort site while finalizing its design, and his commitment shines through in every detail. 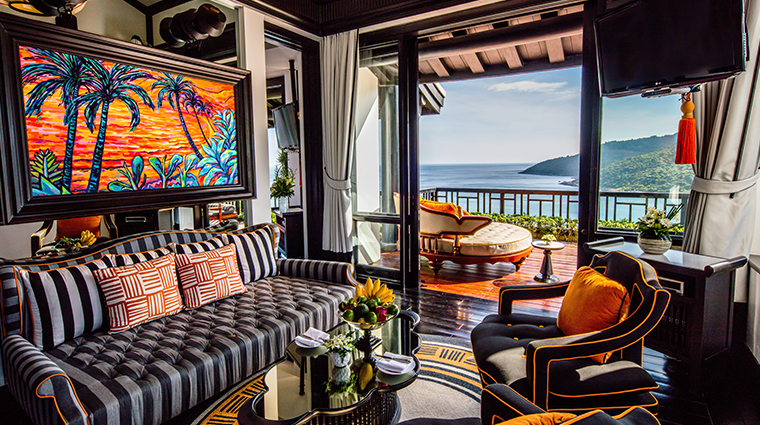 Colorful rooms and public spaces are filled with local touches that enhance rather than take away from the main attraction: the glorious ocean and jungle views. 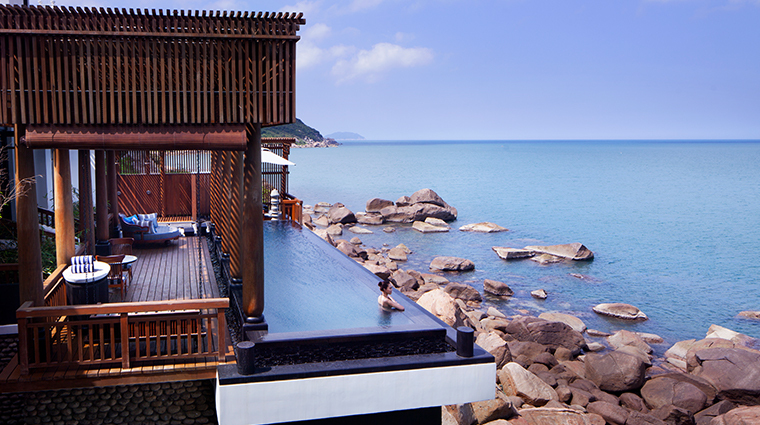 You’ll find more than enough ways to cool off after a day spent in the Vietnamese sun. A beachfront swimming pool caters to families, while an adults-only option is more serene. 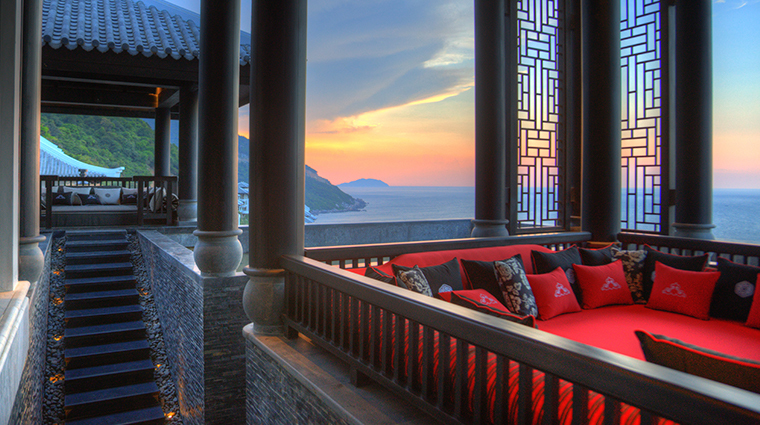 Still, many suites and villas come equipped with private plunges for the ultimate romantic rendezvous. The pool and restaurants make for great people watching. 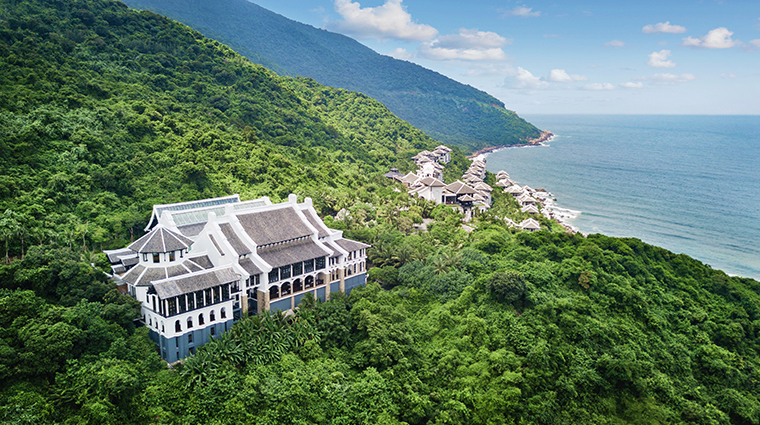 InterContinental Danang Sun has garnered a reputation as one of the most Instagrammable hotels in Asia and, therefore, attracts hordes of South Korean, Japanese and Singaporean glitterati and influencers. 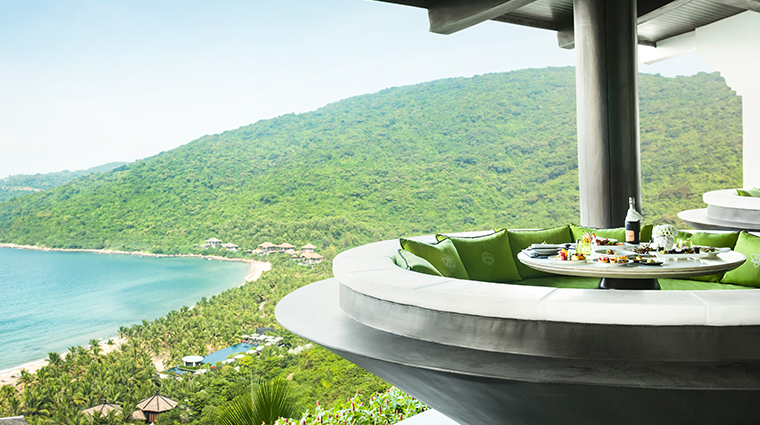 While La Maison is undisputedly the crown culinary jewel of this luxury resort, all-day dining venue Citron also impresses with striking interiors, bountiful buffets and unique, conical-shaped outdoor booths set more than 300 feet above the sea. The beachfront resort’s Harnn Heritage Spa is its own little slice of paradise. 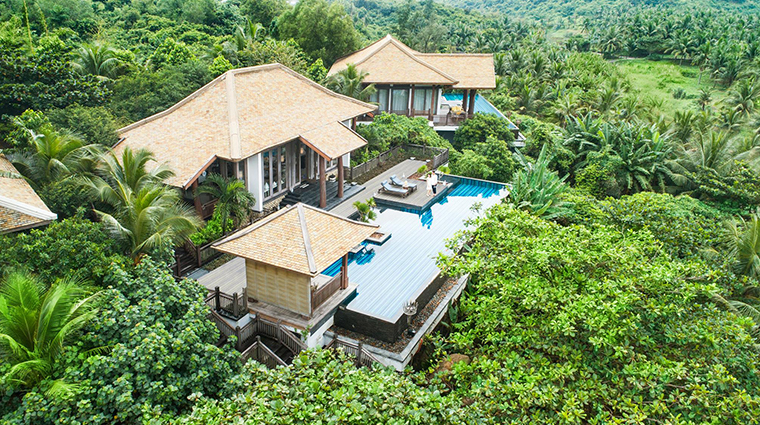 With eight treatment villas set above a sparkling lagoon, the space’s serene ambiance puts you at ease even before your treatment begins. 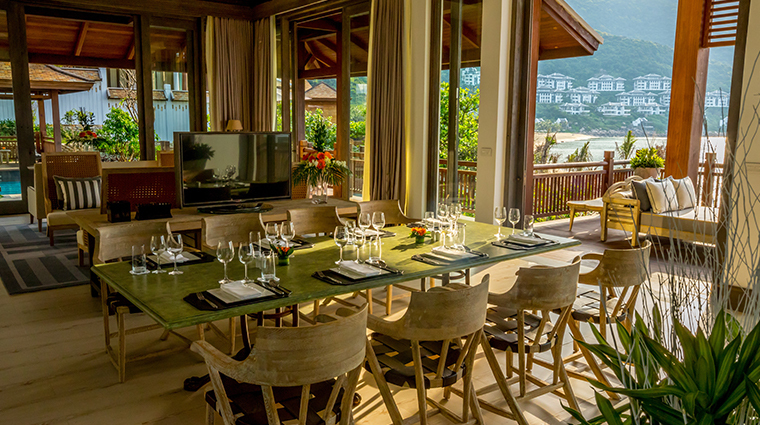 The mountainside locale means that the resort is divided into tiers that you can navigate via the Nam Tram, a staffed cable car that runs between buildings 24 hours a day. 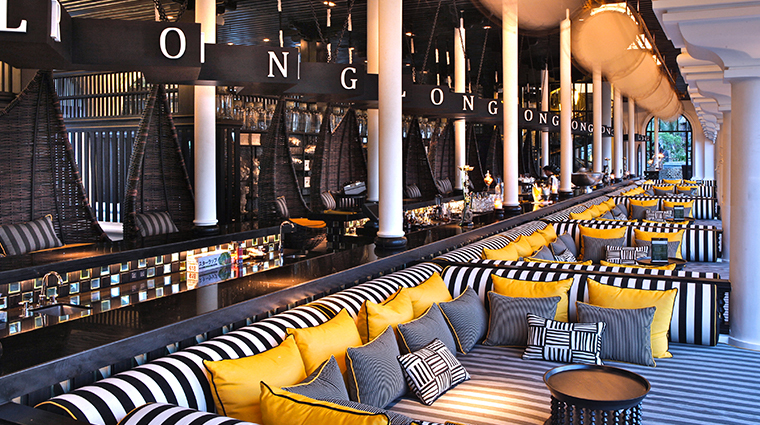 The Long Bar is not just one of the most stylish spots in the Danang hotel, it also serves sensational drinks. The Lotus Cocktail is a refreshing combination of green bamboo and royal lotus seed syrup. 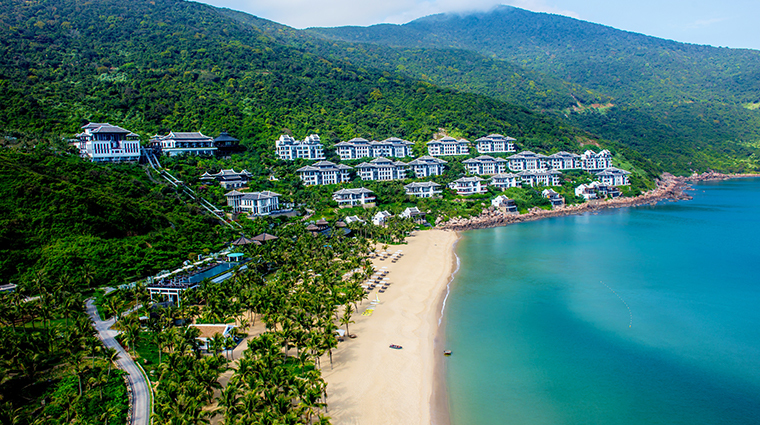 InterContinental Danang Sun offers a complimentary round-trip shuttle service to Hoi An, so you can explore the town’s World Heritage Sites before retreating back to your luxurious lodging at the end of the day. 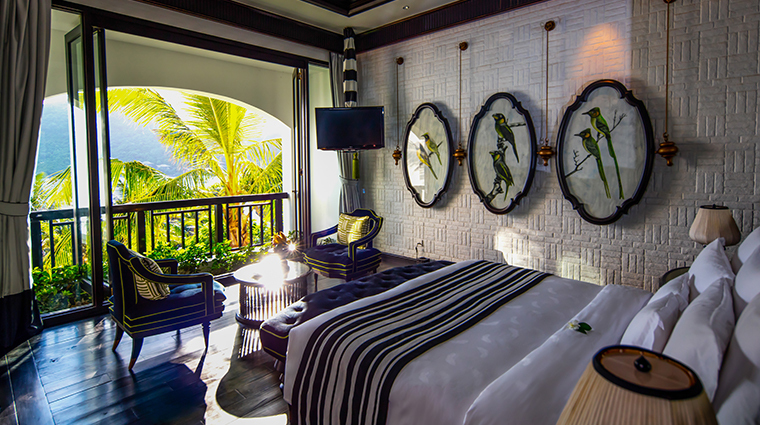 The luxury hotel houses 201 rooms, suites, penthouses and villas, all stylishly adorned in a black-a-white palette with thoughtfully placed pops of color and unique artwork. Spa-like bathrooms come equipped with dual vanities, walk-in rain showers and soaking tubs that are paired with large windows overlooking the beach. Wood accents add a serene, earthy touch to the airy spaces. Even the entry-level Resort Classic Rooms provide oversized furnished terraces with ocean vistas, Bose entertainment systems and more than 700 square feet of natural light-filled space. Ideal for families (or those looking for a little extra privacy), villas feature their own pool, butler service and access to the Sun Peninsula Club InterContinental Lounge, an exclusive area where gratis breakfast, afternoon tea and evening cocktails are served daily. 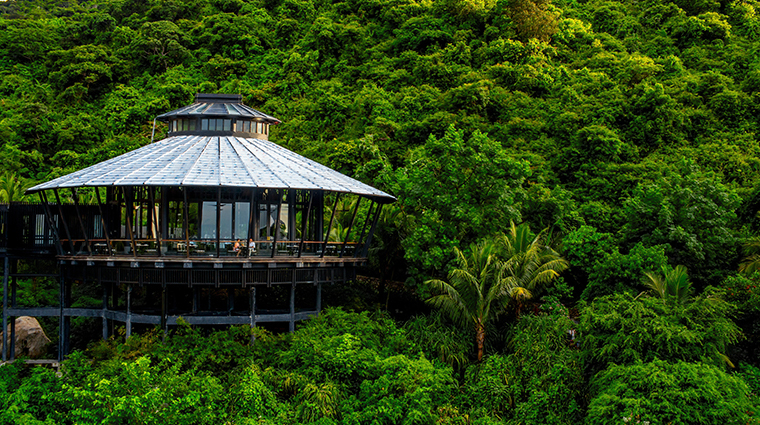 Thanks to its tiered, multi-building design, this Danang beauty looks like a city in the clouds, beautifully accented by the lush natural foliage. The four levels are appropriately named Heaven, Sky, Earth and Sea. 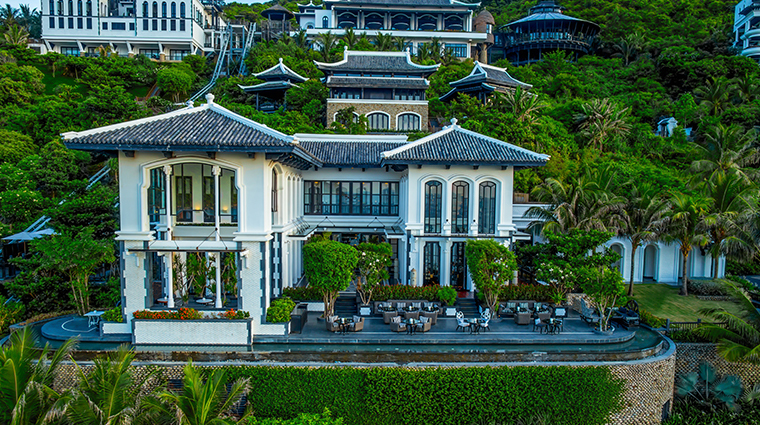 Designer Bill Bensley spent years touring Vietnam’s Buddhist temples, palaces and imperial tombs to find authentic inspiration for the luxury resort. 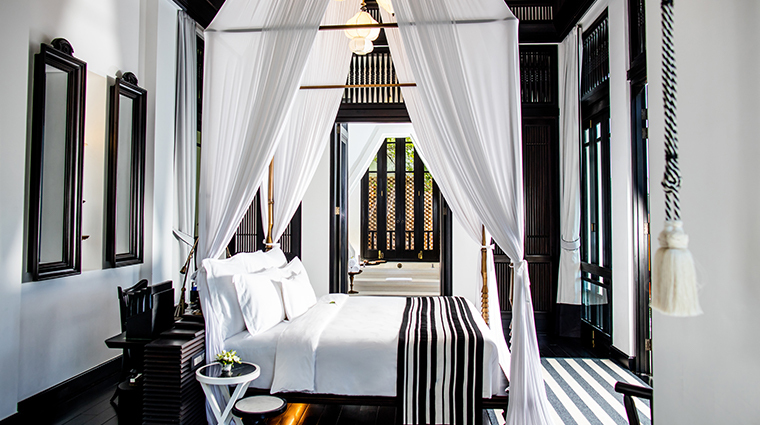 The resulting black-and-white color scheme found throughout the property is reminiscent of black lacquered wood and white tiles he saw in the country’s signature temples. 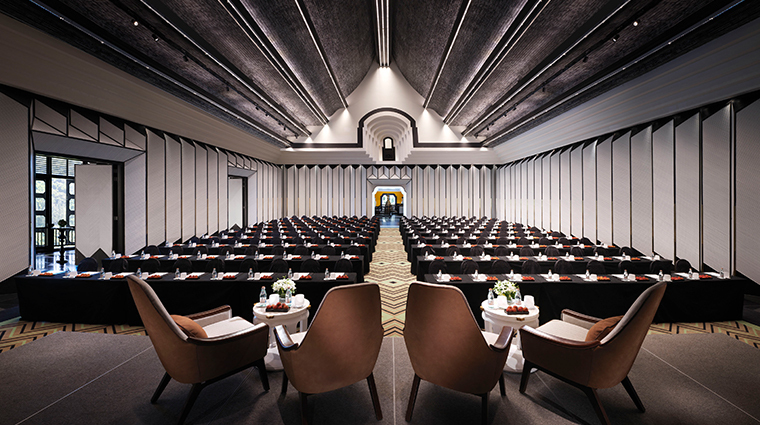 Local touches found throughout InterContinental Danang Sun include hanging lanterns, ornately carved candle stands and Buddhist motifs with dragons, elephants, lions and lotus flowers. 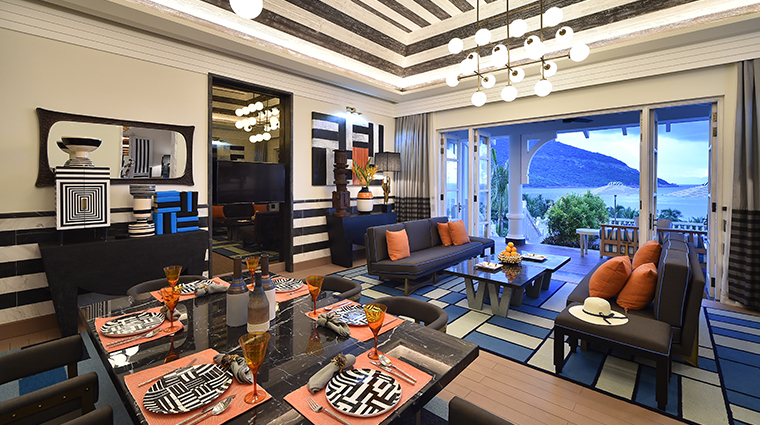 While the property is tied together with its monochrome aesthetic, each space features its own signature touch of color. 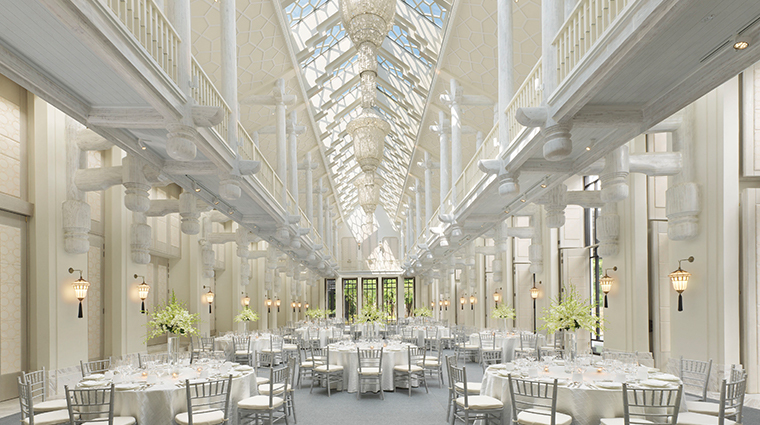 Citron restaurant, for example, includes vibrant yellow and green accents.